The weather is starting to get warmer so the grill should get cookin’! Everyone is waiting for the weather to warm up! While the cold starts to simmer down, why not heat up that grill and cook something fun. Introducing my new Chile Lime Shrimp recipe with the perfect balance of smoky, zesty and spicy! The key to these Chile Lime Shrimp is using 1/2 of the lime before you put the shrimp on and the second half once they are off! Grill these on direct heat over some hot Cowboy Charcoal for that smoky flavor & finish. This is a great dish to invite some friends over and enjoy as Spring starts to roll in. Serve this with some rice and a glass of great beer to make a party! RELATED ARTICLE: Ever cooked on the coals before? Learn my Do’s & Dont’s! Shrimp are on of the most simple things to cook. There is, however, one pitfall to avoid when cooking these Chile Lime Shrimp: not overcooking them. 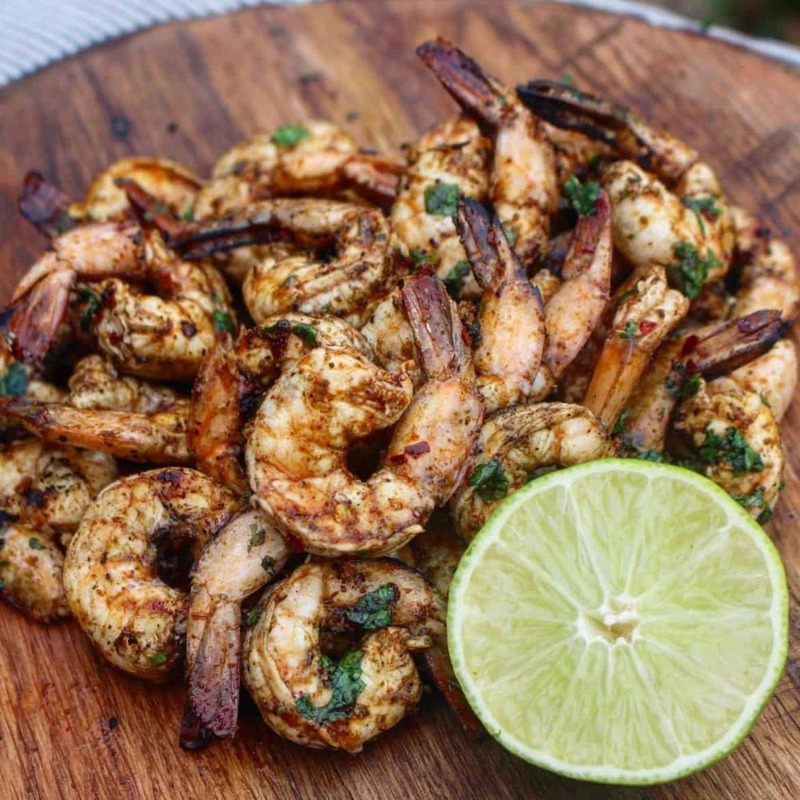 Shrimp tend to cook a lot faster than most people realize. They only take about 1-2 minutes per side to cook! One way of knowing when your Chile Lime Shrimp are done is the “C” test. You are looking for shrimp to be in a “C” shape as opposed to an “O” shape. The more curve they have the more likely they are fully cooked. Make sure to pull your Chile Lime Shrimp off before they become fully curved (“O” shape) which can be chewy and rubbery. 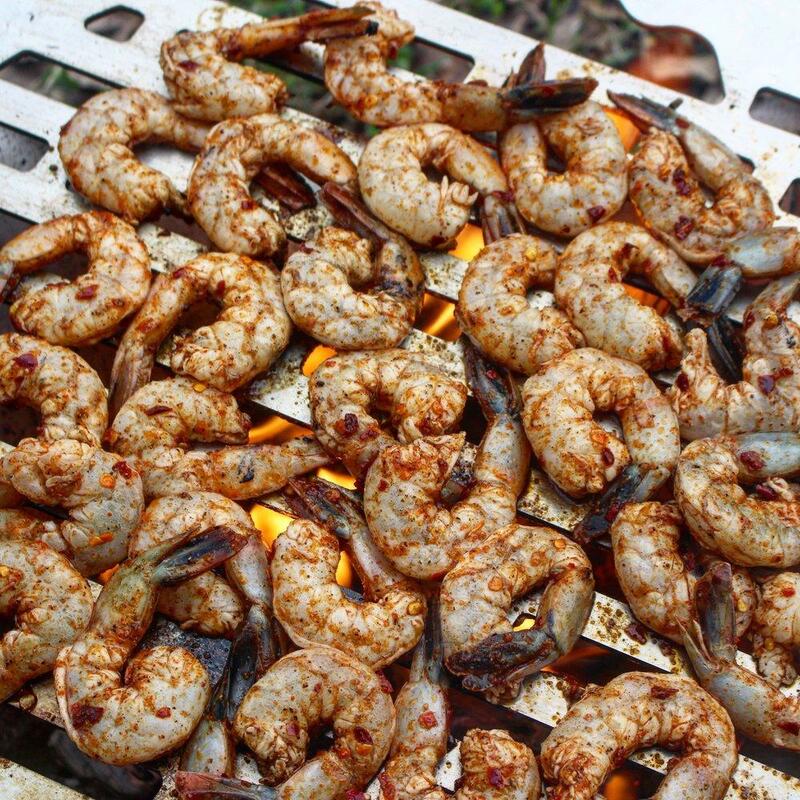 Spicy and citrus shrimp cooked over fire. What is not to love? In a bowl, mix the shrimp with a splash of olive oil. Squeeze 1/2 of the lime on top of the shrimp and season with ancho chile powder, chili flakes, onion powder, black pepper & sea salt. Use some Cowboy Hardwood Lump Charcoal to light fire and let burn for 10-15 minutes. Once charcoal is white hot, disperse over grill evenly for direct grilling. 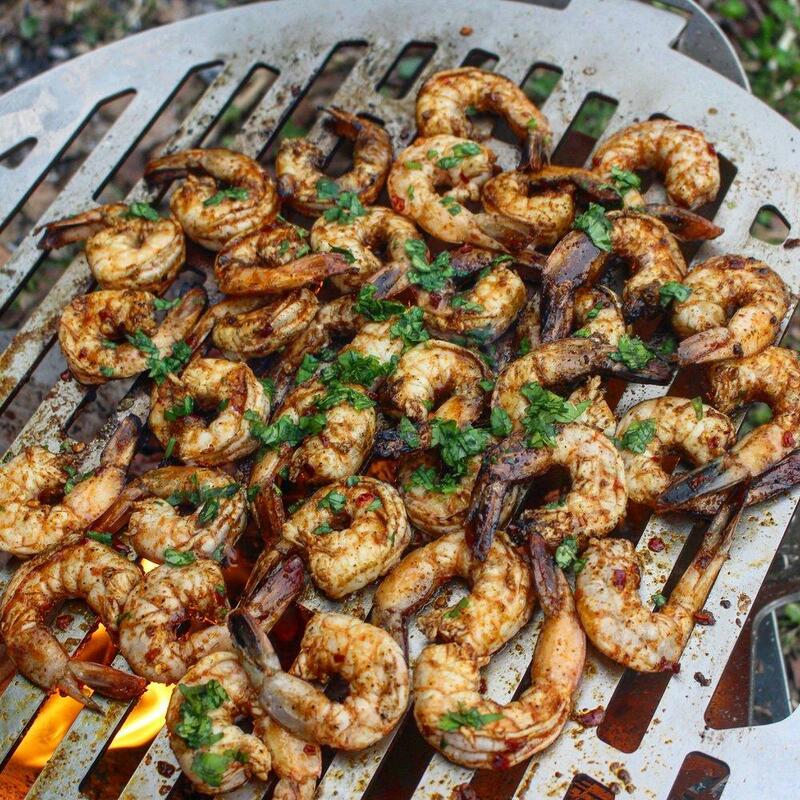 Place the shrimp over the hot charcoal and let cook for about 2 minutes per side. 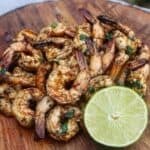 Pull shrimp off of grill once cooked, squeeze the second half of the lime on top and garnish with finely chopped cilantro. Equipment Needed: Cowboy Charcoal, tongs, and a cutting board.